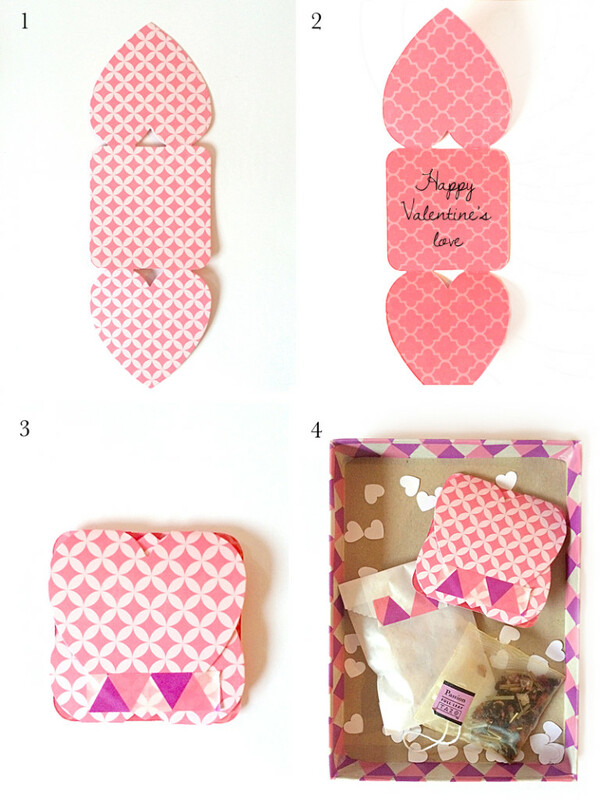 I’m plain happy right now and super excited to share with you this project for Valentine’s day. One of the things my husband and I look forward the most is to wake up in the morning, make a fresh cup of coffee and enjoy the quiet of our home before the kids get up. 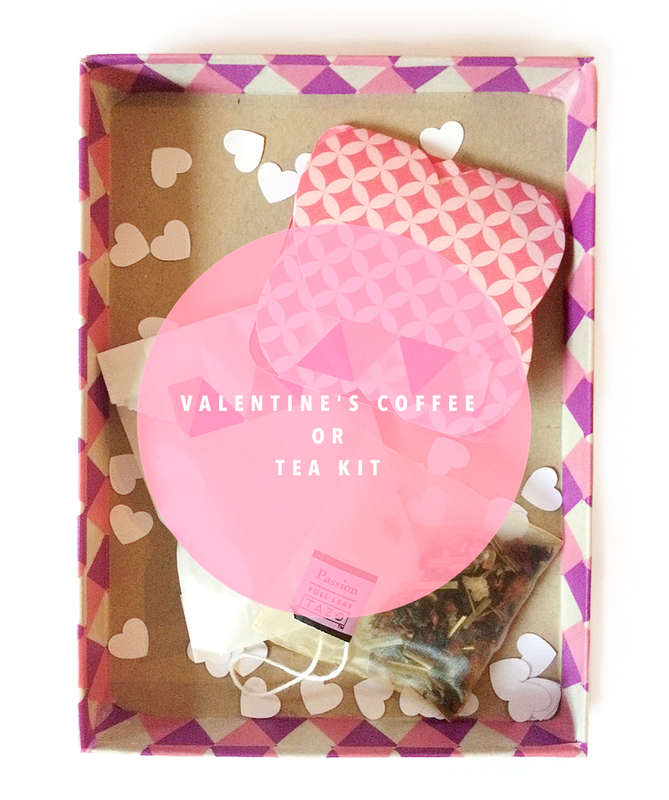 This valentine’s day I thought of surprising the hubs with a small gift to take to the office. Valentine’s day lands on a Saturday but that doesn’t mean I can’t start spoiling the hubs the day before v-day. 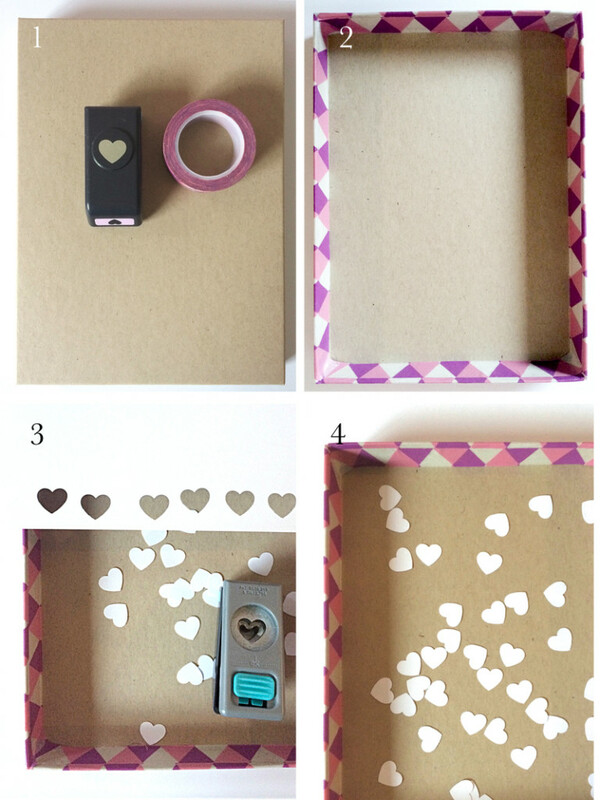 I used an A7 size Kraft card box from paper source, washi tape and a heart punch. First, I covered part of the interior of the box with washi tape. I also taped the outside of the box. Third, I used my heart punch to make white confetti hearts. Finally, I filled up the box with the confetti. These heart-shaped cinnamon sugar “cubes” inspired my project. I found these on “Food 52” and had to get them! Initially I thought of using a gourmet instant coffee packet but the hubs decided to cut back on coffee! So next on my list was tazo tea. 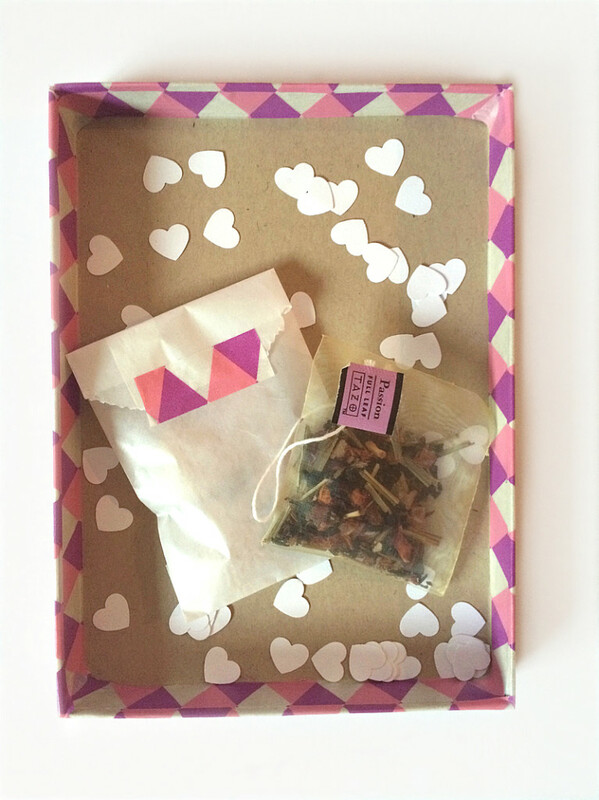 I put the sugar hearts in a small glassine bag, added a tea bag and included a note with my gift. Small note card I made last year at Ben Franklin’s die cut center. View of the inside of the card. 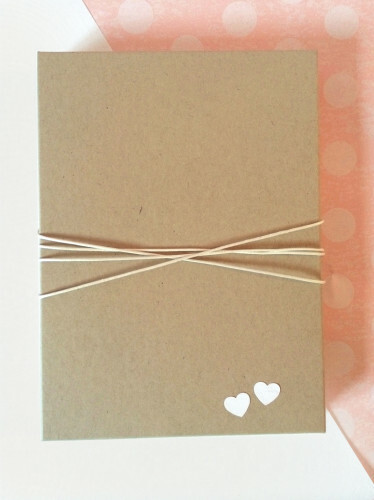 Used the same washi tape I used for the box to seal my card. And voila, my kit was done. P.S. This post contains affiliate links. Please read my thoughts and policy on affiliate links here. This is so cute! I love all the fun touches you added and those cinnamon sugar hearts are adorable! Thank you Ginnie! Those little sugar hearts inspired me to make this kit! I’m treasuring them for a future tea party for my daughter too!